Located in the heart of Downtown Bowmanville, this building is within walking distance of beautiful boutiques, delicious restaurants, pharmacies and banks. Units come with spacious balconies perfect for enjoying the sights and sounds of nature. This building is fully equipped with secure controlled entry and a full-service elevator. One underground parking spot is included with each rental which is great for keeping your vehicle safe from the unpredictable Canadian Weather. 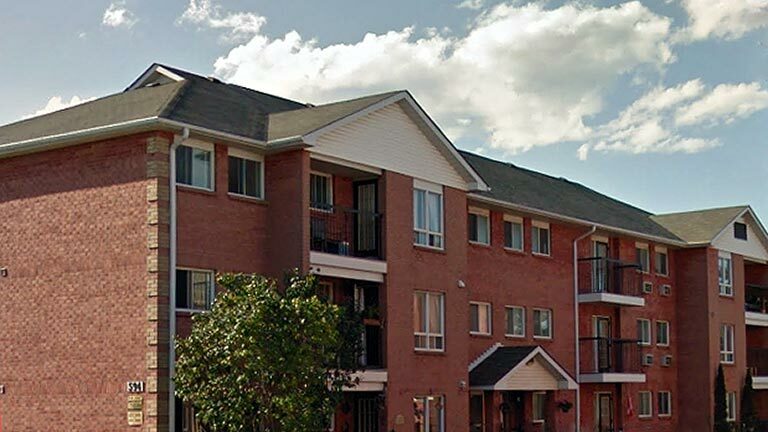 This clean, secure, quiet and large building is perfect for couples, families or individuals looking for a well located, well-kept living space. This building is located on a quiet side street just a short walk from vibrant Downtown Bowmanville and all it has to offer! This building is equipped with a full-service elevator for your convenience. Units come with large balconies which are perfect for entertaining and enjoying the beauty of Bowmanville. One parking spot is included with each rental just steps away from the entrance. This well-kept, spacious and well lit building is ideal for families and couples looking to have quiet, peaceful surroundings. A bright, quiet and clean building, tenants are provided with a building just outside the hussle-bussle of Downtown but still close enough to enjoy a day of shopping and relaxing. Simpson Avenue provides its tenants with a carport parking facility. This building includes spacious balconies perfect for a relaxing cup of tea enjoying Canada’s gorgeous natural surroundings. This well lot, clean and secure building is a great place to build a comfortable lifestyle to which you are suited. These well-situated apartments provide its tenants with the benefits of its ideal location. Perfect for the daily commuter, these buildings are seconds away from the 401 making your early morning routine less stressful. The building’s entrance backs onto one of Oshawa’s main streets providing quick access to bus stops. Spacious balconies come with each unit perfect for enjoying a warm evening outside with the sights and sounds of Canadian nature. This large, secure and clean building is perfectly suited for commuters and locals alike.